UPFITZ is the NEW place to get all of your vehicle needs. 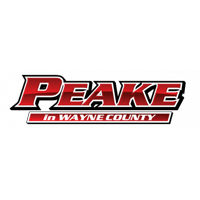 Powered by the Peake Chrysler Jeep Dodge Ram FIAT dealership and Mopar, we offer items from cleaning supplies to DIY supplies and parts and OEM accessories. Upfitz carries brands from Rain-x, Maguire’s, Castle, STP, BG, AMSOIL and so much more. Alongside our OEM running boards, tonneau covers, hitches, slush mats and other accessories we also carry Rough County bull bars, lift kits and LED lights, CURT trailer hitches and wiring, and Weather Tech floor mats. Going off-roading this summer? UPFITZ has a great selection of lift kits, rims and tires so your vehicle is ready for any adventure. Hats, T-shirts, keychains and cups? We have those too, along with other merchandise you can wear and share. Need someone to UPFIT your vehicle for you? Give us a budget and tell us what you want or we can give you a list to choose from based on your vehicle whether its $400 or $4,000 we can show you your options. Don’t have time to stop in? Not quite sure of everything you need? We have an online store on our Peake Ram website!!! Or you can give us a call at 315-553-2563. No matter what your driving needs entail, UPFITZ is in your corner with parts and accessories you’ll love. We are located in Sodus, NY inside the Peake Chrysler Dealership on 6551 Pratt Road. We look forward to seeing you.